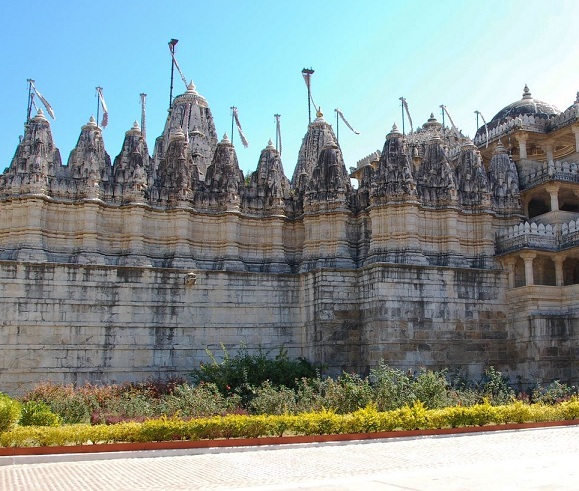 The Dilwara Temples, which are very famous all over the world, are Jain temples located at Dilwara village, which is around 2½ Kilo meters from the most elegant city of Mt. Abu. 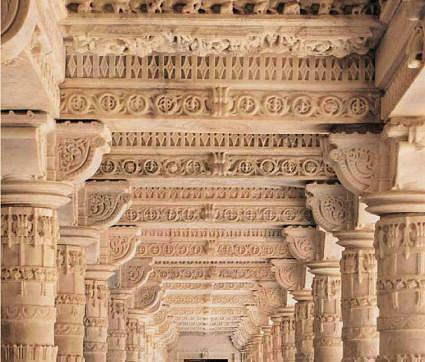 The temples are made of carving created with marble. There is fantastic designing besides superiority in craftsmanship while giving the finishing touches to the marble carvings. Dilwara temples consist of a cluster of 5 temples and displays great architecture skills of the ancient times, some even consider it far superior or at par with Taj Mahal, which has appearance in the Seven Wonders of the World. The temple’s interior craftsmanship is the excellent work, which could have been considering limitations of the time and advancement in the technology by then. The construction of these temples was carried out during 11th to 13th century AD. The way marble stone carvings depict the ornamental view is splendid and there is no work of the past or present stand before, which can be compared with it. More over the ceiling has very minute carvings. The pillars behold absolutely fantastic looks. There is a belief related to these grand temples construction is that there were very prosperous local merchants having faith in Jainism. It was their true devotion and dedication towards their religious saints, called Tiranthkaras by the reverence expressed for them. Vimal Vasahi or Shri Adinath ji’s temple. Shri Rishabh Deoji temple or Pithalhar. Shri Parshav Nathji temple or Khartar Vasahi. Shri Mahaveer Swamiji temple or Mahaveer Swami. The Vimal Vasahi and Luna Vasahi temples are enjoying great popularity among the five temples.